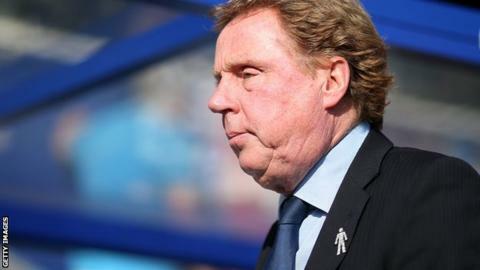 Queens Park Rangers boss Harry Redknapp says his side will go on the attack against Wigan in the first leg of their Championship play-off semi-final. The R's, who are looking for an immediate return to the Premier League, travel to the DW Stadium on Friday. "My attitude and philosophy on football has always been to go and have a go," Redknapp told BBC London 94.9. "That won't change. We will be positive in the way we play and see if we can get at them at every opportunity." He added: "I wouldn't want to go away from home, not have a bit of a go and then come back home and get beaten." QPR were relegated from the top flight last May and, with a much-changed side, were challenging for automatic promotion in the first half of this season. However five defeats in February and March saw them slip away from the top two, and they finished fourth in the Championship. Redknapp has never been involved in a play-off campaign before but has more than 15 years of Premier League managerial experience. He won the FA Cup with Portsmouth in 2008 and reached the quarter-finals of the Champions League with Tottenham in 2010-11. "We have got to keep as relaxed as we can. You have got to keep the players sharp and bright," the 67-year-old said. "You don't want to be piling too much pressure on. We have got to relax and play but at the same time we know the importance of the job. "We have got a lot of experienced players; Richard Dunne, Joey Barton, Clint Hill and Rob Green and their experience will be vital to us." Redknapp added that he had not talked to any of his players about new contracts - or begun discussions over potential summer signings - as he does not yet know which division Rangers will be in next season. "Agents ring you up but you don't know what type of players you are looking for," he said. "If you are in the Championship you are looking for players on Championship wages but if you are in the Premier League you are looking for a different player again. "There are a lot of lads here who, if you got in the Premier League, you'd want to keep the nucleus."